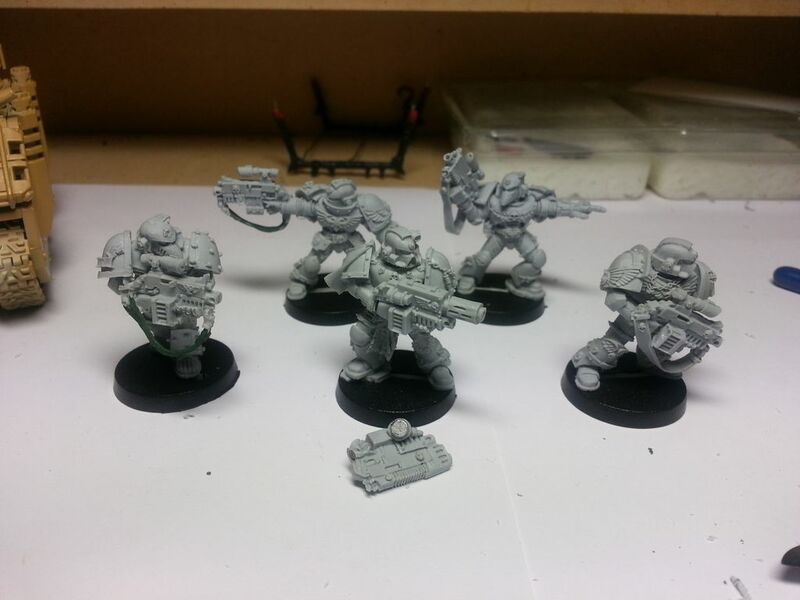 I’ve started (more like continued) my Imperial Fists Sternguard models I started long ago. They were half cleaned up then put back in their box, then later cleaned up some more and put in a different box. I’ve always wanted to do these models justice especially due to their veteran nature and I have been working through my normal tactical Marines instead. This time I want to get them finished and since getting the airbrush I’m a little excited at what I can achieve with these models. I’d really like to get that smooth finish to the armour that makes Space Marines look so cool. 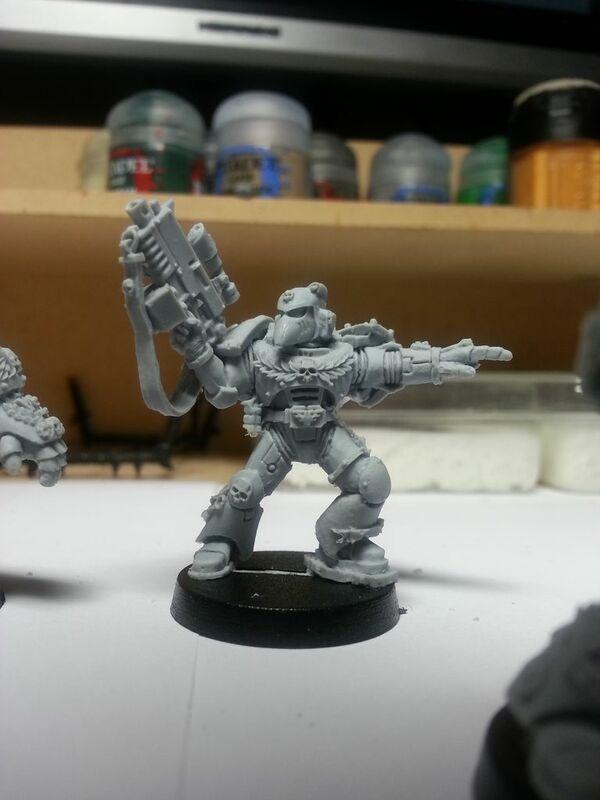 Something extra cool was that I magnetised the weapon onto one of the models. I have a real thing about magnetising stuff and this was a little tricky due to the fragile nature of Citadel Finecast and the placement of the arms. Luckily, it was already somewhat cut at the wrists where the weapon with moulded hands attaches to the body of the model. I was able to cut the left arm down a few millimeters to use a magnet as part of the arm. On the other sides for the connecting magnets I cut a single magnet into 4 pieces using my (old) hobby cutter and embedded that into the one of the wrists attached to the gun and one attached to the main model. Both guns mount up pretty well now and just need spraying. And again, probably due to these not being the most recent moulds, there is 1 Sternguard model that I think just looked terrible due to the air bubbles visible all over the model. I will say that I have noticed that the more recent models have amazing moulds and look fantastic in the blisters. I’m mainly talking about the warriors of chaos Lord that was recently released as well as the chaos space Marines champion released a few months ago.